2. Colors : orange, golden, brown, olive, pink, bottle green, grey, red, green, yellow, black, white, royal blue, navy, blue, purple, etc. 3. Yarn counts : N70DxN70D, N70DxN140D, N70DxN160D, N70DxN250D, N70DxN320D, N210D, N200DxN200D, N200DxN400D, N400DxN400D, N20DxN20D, N30DxN20D, N30DxN30D, N30DxN40D, N40DxN20D, N40DxN40D, N40DxN70D, N40DxN90D, N50DxN50D, etc. 4. All the stock are dyed, and can be arranged for PU coating, based on customers requests. 5. 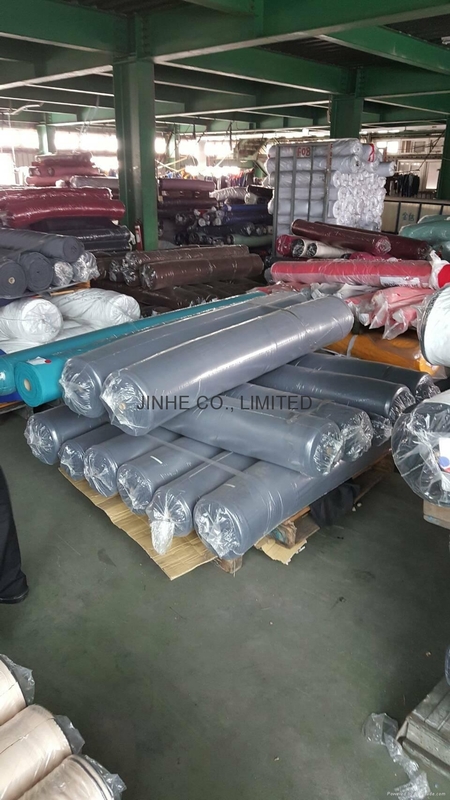 The quantity of the stock is around 5000 rolls, amounting to 600,000 yards. 6. Customers are welcome to our factory checking the quality and colors for your need.